Marvin Tolkin wasn't clinically depressed. But at 83, he said, he "struggled through a lot of things in my life" - the demise of a business partnership, the sudden death of his first wife 18 years ago. He worried about his children and grandchildren, and his relationship with his wife, Carole. "When I hit my 80s I thought, 'The hell with this.' I don't know how long I'm going to live, I want to make it easier," said Mr. Tolkin, now 86. "Everybody needs help, and everybody makes mistakes. I needed to reach outside my own capabilities." So Mr. Tolkin, a retired manufacturer of women's undergarments who lives in New York, began seeing Dr. Robert C. Abrams, a professor of clinical psychiatry at Weill Cornell Medical College in Manhattan. They meet once a month for 45 minutes. "Dr. Abrams is giving me a perspective that I didn't think about," he said. "It's been making the transition of living at this age in relation to my family very doable and very livable." Mr. Tolkin is one of many older people who are seeking psychological help for the first time. "They're realizing that they're living longer, and if you've got another 10 or 15 years, why be miserable if there's something that can help you?" said Dolores Gallagher-Thompson, a professor at Stanford University in California. It also helps that Medicare pays for psychiatric assessments and therapy. The National Alliance on Mental Illness reports that more than 6.5 million Americans over age 65 suffer from depression. Many are grappling with issues unaddressed for decades, as well as concerns about new living arrangements, finances, chronic health problems, the loss of loved ones and their own mortality. "For people in their 80s and 90s now, depression was considered almost a moral weakness," said Dr. Gallagher-Thompson. "Fifty years ago, when they were in their 20s and 30s, people were locked up and someone threw away the key. They had a terrible fear that if they said they were depressed, they were going to end up in an institution. So they learned to look good and cover their problems as best they could." Treatment regimens can be difficult in this population. Antidepressants, for instance, can have unpleasant side effects and only add to the pile of pills many elderly patients take daily. Older patients may feel that they don't have the time necessary to explore psychotherapy, or that it's too late to change. But many eagerly embrace talk therapy, particularly cognitive behavioral techniques that focus on altering thought patterns and behaviors affecting their quality of life. Experts say that seniors generally have a higher satisfaction rate in therapy than younger people because they are usually more serious about it. After her husband died, Miriam Zatinsky, a retired social worker who is now 87, moved into an independent living facility at Miami Jewish Health Systems. "It was really strange to me, and I couldn't seem to make any friends here," Ms. Zatinsky said. "I really couldn't find my way. I was having a terrible time." The medical director for mental health at the facility, Dr. Marc E. Agronin, told her that her problems were not unusual, and encouraged her to make some friends. He prescribed Xanax to help with anxiety, which she said she rarely takes, and he put her in touch with a social worker. They strategized on how she could reach out. And slowly, she did. 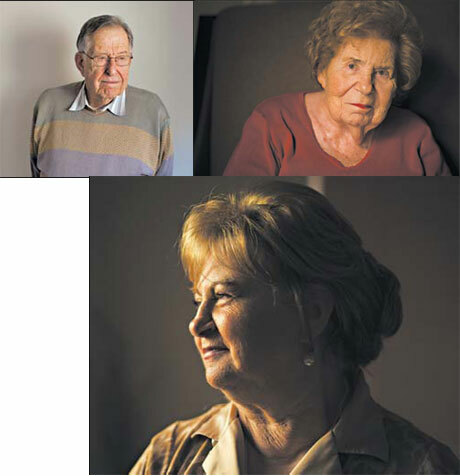 "Sitting at the table for dinner, you talk to people," said Ms. Zatinsky. Typically, 15 to 20 sessions of talk therapy are enough to help an older patient, unless he or she is struggling with a lifetime's worth of significant problems. Still, even long-term, significant problems can be overcome. After a debilitating depression in which she spent three months unable to get out of bed, Judita Grosz, 69, of Pembroke Pines, Florida, decided to see Dr. Agronin. He prescribed medication and some cognitive behavioral techniques - for instance, requiring her to get dressed every day. Eventually, she began to feel better. "I learned to adjust my thinking, and I don't get as anxious as I used to," said Ms. Grosz. "I found out at this age that I am artistic and creative and innovative and smart. I just woke up to the fact that I have a mind of my own. Talk about a late bloomer." Dr. Agronin, who still meets with Ms. Grosz monthly, said, "You might not be able to gain a magical insight and wrap up their entire life in therapy, but you might be able to accomplish one or two small but meaningful goals." Sometimes, what older patients really need is help putting a lifetime in perspective. "Things can be seen differently from the perspective of old age that relieve some guilt and challenge assumptions that you've had for decades," Dr. Abrams said. "'Maybe it wasn't too terrible after all; maybe I shouldn't blame myself.'" Mr. Tolkin continues to see Dr. Abrams every month. "Everybody has a certain amount of heartache in life - it's how you handle the heartache that is the essential core of your life," Mr. Tolkin said. "I found that my attitude was important, and I had to reinforce positive things all the time."